At All Bugs we use the one and only Termatrac®T31 – the only device that detects, confirms and tracks the presence of termites. 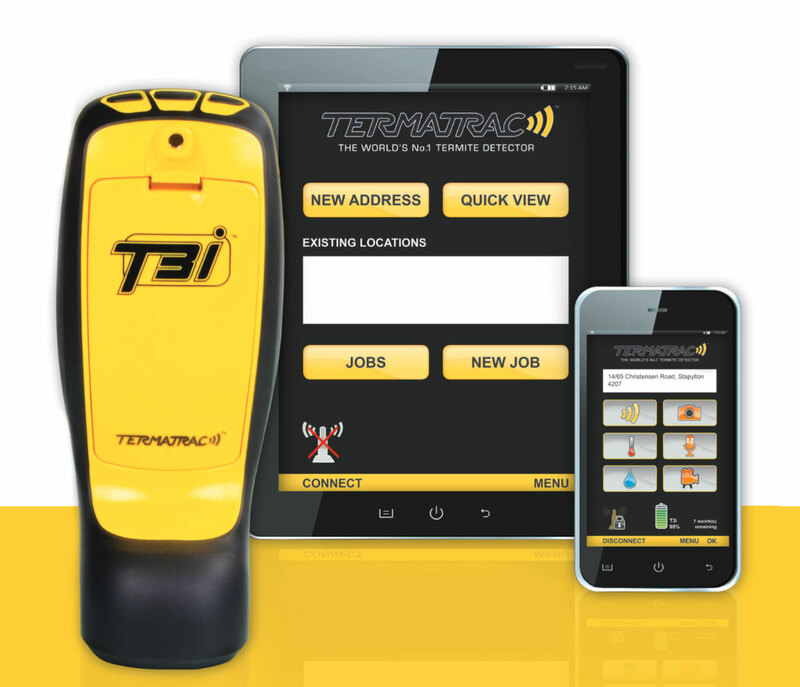 The Termatrac®T31 is the most advanced termite detection device in the world. With patented radar detection, a remote thermal sensor plus a pinpoint accurate moisture sensor; the 3-in-1 device is the ultimate tool for the professional pest management technician. It detects, confirms and tracks the presence of termites through an ingenious combination of cutting edge radar technology, backed by thermal and moisture sensors. An easy to use tool that assists you in getting the job done confidently. The T3i also lets you capture site data for on and off site analysis. The use of fewer chemical results in a positive environmental benefit. It removes the fear of failing to identify the presence of termites.